Let's face it, shopping can be a real chore. There are some of us who actually enjoy spending time cruising up and down the aisles of the supermarket and reading labels. But, honestly, most of us just don't have the time to do that. I have scoured the internet looking for ways to help make shopping chores easier and less tedious. I can't control the checkout lines, but I can sure help with the process of getting to them. Here are some smart tips that I found. If you plan your meals ahead of time, you will know exactly what ingredients you will need to shop for. This will save you money in the long run. How many times have you purchased and thrown out expired foods? Having a meal plan will help cut back on wasted money. Lists, although we don't always stick them, are convenient because they remind us of things we need. If you don't have time to sit and write a list, make one on your phone in the notes section. I am always adding items to my list in my phone. As I purchase the item, I delete it from my list. This works for me, and maybe it will work for you too. There are grocery list apps that you can load to your phone. Apps like Out of Milk or Grocery Pal can help you organize your shopping trip. Here is a list of the Top Grocery List apps. Having a budget will keep you from over shopping and picking up things that are impulse purchases. You may want to shop using cash only. This will help ensure that you stay within your set budget. Try incorporating a few more meatless meals into your week. This will help you save money. Get a coupon organizer. 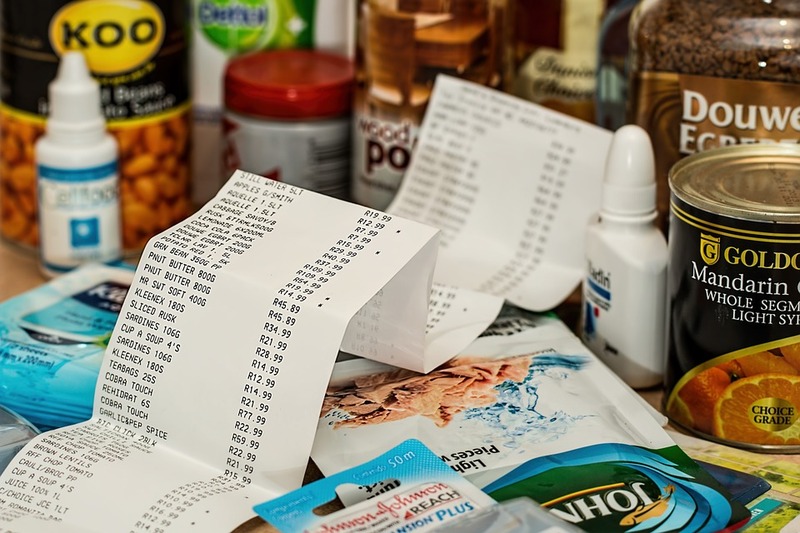 Having your coupons properly organized, by aisle of your regular supermarket will make it so much easier to find the coupon you are looking for as you shop. As you use a coupon, place it in an envelope. At the end of your shopping trip, hand the envelope to the cashier so she can apply all of your coupons. Some stores have aisle coupons that are located on or near products. Be sure to take advantage of the savings. Use your store app for digital coupons. Many stores have digital coupons that you can apply directly to your store card in addition to your regular coupons. Don't forget to check the weekly store circulars to see what is on sale for the week. Use a coupon app. Coupon apps like Ibotta can save you a lot of money. You simply choose your store and see what savings are available for you. I find that shopping on Tuesday or Wednesday the stores are much less crowded and there is usually a well stocked store, as compared to the weekend. This saves me time from tracking down a store employee to search for an item in the back stockroom and surely saves me time on the checkout lines. Stores are also less crowded at night. I hope these tips can help you save time and money on your next shopping trip. Do you have ways that you save time and money when shopping? I would love to hear them! List them below in the comments. Disclosure: Ibotta link is an affiliate link.